Have you heard about duplication? It literally means doubling something. 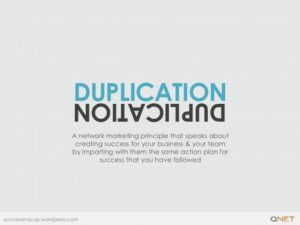 When you say duplication in network marketing, basically, there is something you’ll need to duplicate. So, what does it really mean? Network marketing duplication means that if you are promoting something and you are able to get clients more than you are targeting, then that means you have just gained success for yourself and for the business you are in. That means duplication. This means that you are giving your new team members an action plan to reach success. Some people start their business online, while some create it offline. Some do both. Whatever it is, know that it is very important for you to be able to teach your new team members to do the same. 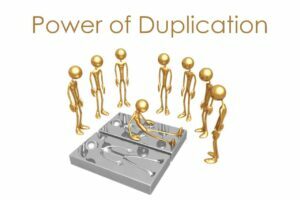 Why Duplication is Important in Network Marketing? You may not know why network marketing duplication is important. Some do not even think of it, for as long as they are earning, they feel it is enough. But as you know, business is one of the most unpredictable thing, so you need to plan for long-term. Everyone in this business should be always ready for any changes that will occur and sometimes they must make the changes by themselves. Network Marketing is very common nowadays. The reason is that network marketing companies offer huge incomes and usually, it can be earned as one big package. They design income graphs to show you how you are going to earn lots of money. Even by just recruiting your friends, you will earn. All types of networking marketing follow the upline and downline systems, in which, when your downline members earn, you also earn. Making money looks somewhat easy with this kind of thing. But, why to get into network marketing? Being attached with a network marketing company you will know how to interact with people, how to get the right prospects or leads to increase your income. Getting involved in such business allows you to improve on your convincing skills. It also makes you unique and creative so you convert prospects into team members faster. You will learn how to brand your product, build your team fast and you’ll never have to sell again. You become more social and get chances to improve your social communication and interaction. You become confident about the service or product you sell. This will help you generate bigger profits with time. You will understand the secret behind converting leads into cash flow. Also it will be easy for you to grow your network marketing business. The best way to do duplication in network marketing business is to make a fast start action plan for your own team and put it on a platform or social media so everyone from your team can easily access the information. Conduct training for your team members on how to get leads/contacts, sponsor and how to close it. Guide them on how they can make their own duplication. This will be the best way to create a strong team that grows. Share with them how making residual income can be easy and achievable for them. 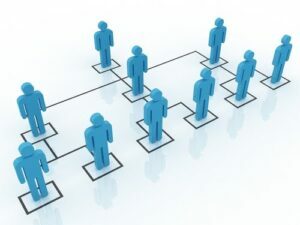 All these are effective ways for creating network marketing duplication. The best way to do so is to make the process simple for your team members, so they can grow easily, and also help them create their own success. Network marketing is all about building a strong, smart working, and stable team. Network marketing is a common thing now, there are many companies and they have similar earning systems. So, what matters is that you must have a good action plan for the duplication, manage and guide your team on the path of success, train them well, and keep faith on the company you are working with. This way you will be able to control the stability of your own business.